Are we missing Rafa yet? With Monte-Carlo/ EU Clay Season just around the corner, I wanted to list some of Rafa's amazing Clay Records accomplished.. please let me know if I missed anything! 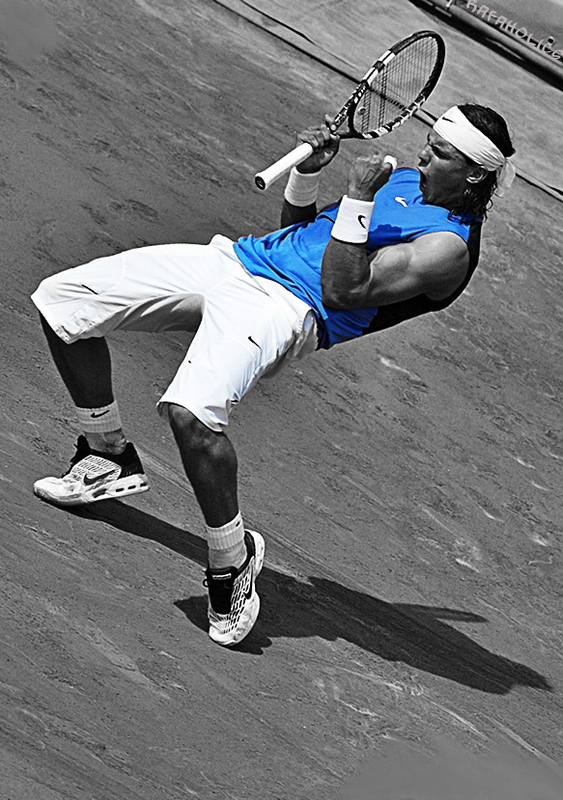 Nadal has a 37–5 record in clay court tournament finals and a 68–1 record in best-of-five-set matches on clay. Nadal is the only player in the Open Era to win more than one ATP Tournament at least 7 times in his career: Monte Carlo Masters eight times (2005-2012), French Open seven times (2005-2008, 2010-2012) and Barcelona Open seven times (2005-2009, 2011-2012). Overall Nadal is 261–20 (92.88%) in his career on clay, the best winning percentage on clay in the Open Era. The quickest male player (losing fewest matches) in the Open Era to reach 200 clay-court wins (200–16). Vilas leads the all time clay court career win list: 632-162. Nadal (7–0), Borg (6–0) and Gustavo Kuerten (3–0) are the only players in the Open Era to never lose a French Open final while appearing in at least 3 finals. Torneo Godó (Barcelona Open): Holds the record for the most consecutive wins - 5 (2005–2009) and most title wins – 7 (2005–2009, 2011–2012). Second player to win the same slam (FO) 7 times after Sampras (Wim) during open era. Best career outdoor match winning percentage: 85.10% (531-93). 20 titles: 58 tournaments/7 years: Monte Carlo 2005 – Monte Carlo 2012.